If you follow me on IG (@mianne86), you probably know that I've gotten my first ever gelish manicure from Home Nails very recently. 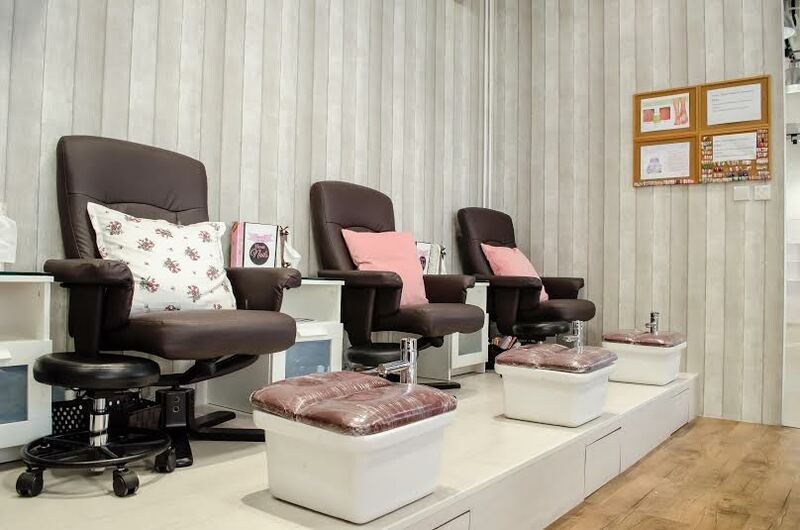 Located conveniently near Dhoby Ghaut MRT Station (sharing the same space with Poise Hair Studio), Home Nails Salon started out as a home-based nail salon in 2008 and gradually worked its way up to a retail nail salon in town! 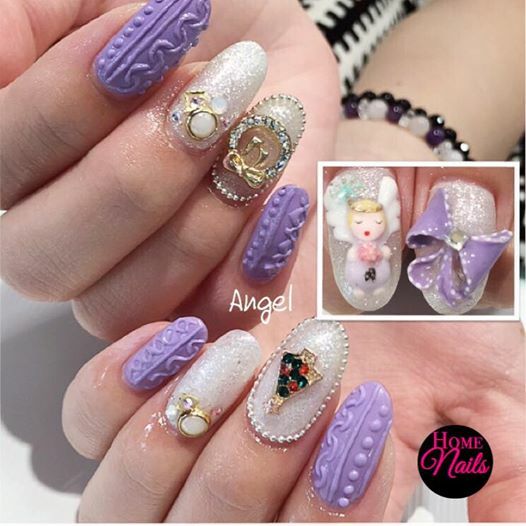 The owner obtained her certifications from Korea, specialising in nail designs and the other nail therapists obtained their certifications from reputable academies, the likes of APT Professional Team. 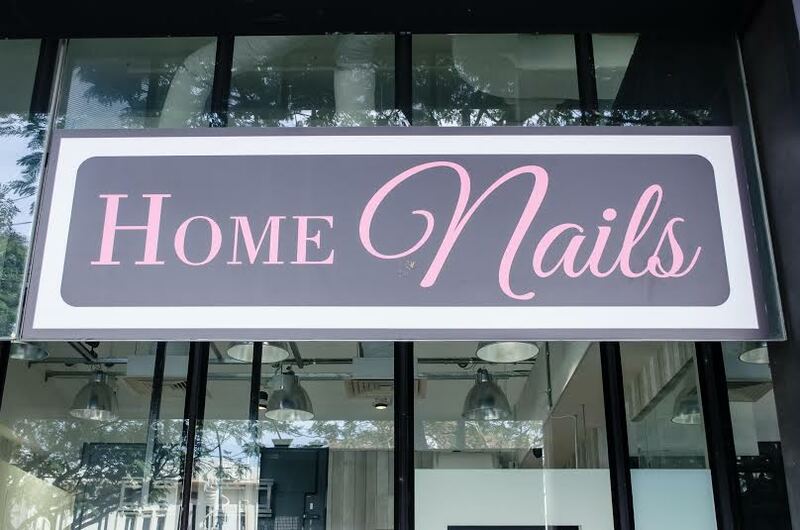 Home Nails has been voted the Top 10 Best Nail Salons in Singapore by Honeycombers in 2013, and has also been lauded by Her World magazine in 2014 as one of the must visit salon. Recently, Home Nails' nail art has also been featured in the June 2015 issue of Timeout magazine for the Fashion Week Singapore. Some of Home Nails' popular services are gel extension, 3D nail arts, gelish nails and bridal nails. And since Home Nails is sharing the space with Poise Hair Studio (you got to enter Poise first and Home Nails will be to your left), you can arrange to do your nails while having your hair done! So while having my hair dyed, I got my cuticles cut (without soaking, as getting nails wet before applying gelish will promote fungus growth thus Home Nails strongly advocates that. Such professionalism! ), nails trimmed and a gelish manicure with pretty nail art designs done by the very talented therapist. I'm still very amazed at how she can do such delicate works on my nails while having such ridiculously long nail extensions herself. Her nails are so long, she even used it as a palette to hold the gel polishes while she did the nail art designs on my nails. And here's what I got on my nails after the talented therapist, Bella, is done with them. I've never thought that I will ever get such pretty nails that wouldn't chip on me like, immediately after leaving the nail salon. HAHAHA! It's been more than a week now and my nails still look exactly like day 1, no chips at all. There's also countless compliments from my colleagues and questions on how much I spent on these nails. It was sponsored by Home Nails but I took a peep at their price list and they're pretty reasonable. 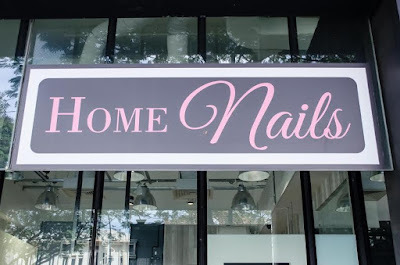 Home Nails has no qualms in showing their pricing online. The 4 huge jewels that was placed on my forefingers and ring fingers didn't give me any issue during hair-washing either (I was a little bit worried that it might constantly get caught in my hair). Home Nails' therapists really go the extra mile to make sure every single detail is perfectly done. The colour layers were topped up until full opacity achieved; glitters reapplied until the intended look achieved, and at one point the therapist even had to painstakingly pick out the bigger pieces of glitter from the polish to dab on my nails; jewels carefully chosen to make sure the overall look is not compromised. And by the end of the manicure, instead of just applying a top coat, the therapist actually layered on a thick coat of curing gel (or whatever it's proper technical name is), file and buff it to smooth out the edges, and then finally finish the manicure with a layer of top coat to give it a beautiful shine. Showcasing some of Home Nails' therapists' brilliant nail creations. 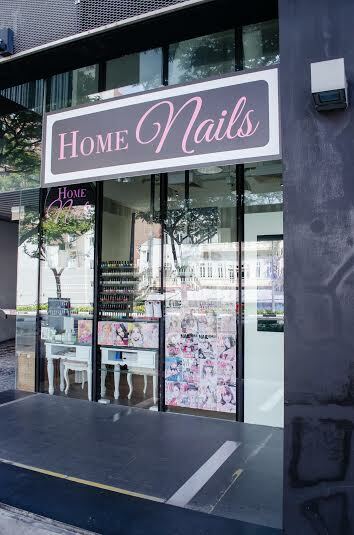 Home Nails Salon is located at The Nomu, 20 Handy Road #01-01. 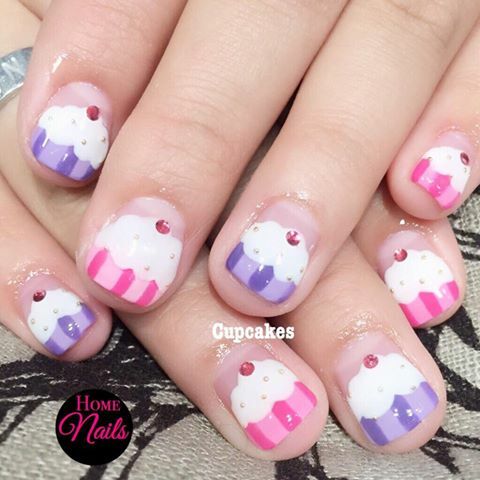 Your nails really look nice, like all of the dainty elements in one design! The rainbow print is just too cute, and the studs add even more character. I guess this one is really about personal taste. I like simple nail color on women. These fancy and very busy designs seem too much for daily use at work. I know. guys generally do not appreciate such fanciful nails. Love yours! They remind me of fireworks and sparkles! I like the cupcake design they have too! Lovely designs and personally i liked cupcake design quite simple and easy to carry.Second one is bridal one perfect for party time. Those are really great design for nails. The cartoon set really stands out. Wow. they really do elaborate nails there! Clean set up, nice! Of wow, I love your nails! I wish I could do that to my nails. 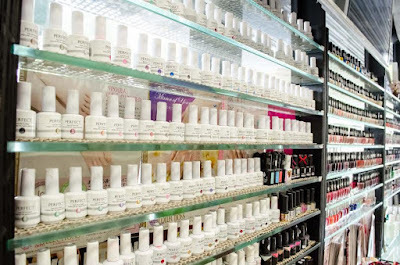 This looks like a nice nail salon. Oh! those nail arts are just awesome! Wow! They have tons of nail polish on their rack. Place looks really posh and chic. I love the black and white design. I'm not into nail arts because I have ugly nails and fingers which makes it look more awkward. However, yours look so beautiful! Just by looking at it, we could already see how much effort their staff gives to make sure the designs turn out perfect. Excellent tips. Really useful stuff .Never had an idea about this, will look for more of such informative posts from your side, get some helpful tips for nail spa.